It’s Time for My Little Pony. This time it’s everybodies’ conflicted priest; Frollo. 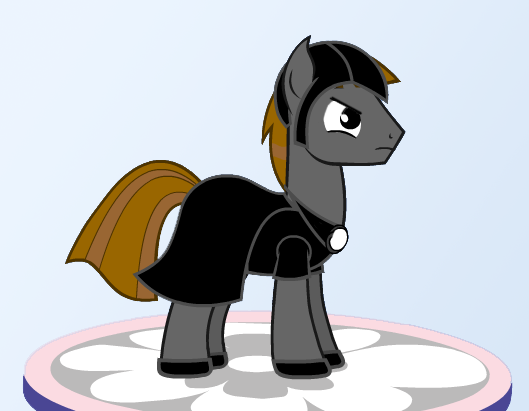 I created this by using the Ponymaker game on the hub website but I did change his eyes with photoshop to make him look scary.